It’s hard to imagine anything more traumatising than a fire in your home, threatening your family’s sense of security. The first 24- to 48- hours after fire damage are known as the “golden hours” of recovery. An effective emergency response that quickly stabilises the facility ensures the recovery of as much property as possible. The acidic soot and smoke damage that is often produced when fires are extinguished accelerates the deterioration and corrosion of building components and vital assets. To compound the problem, fires are most frequently extinguished with dry chemicals or water. Plus, the toxic smoke odour left behind must be neutralised and deodorised. SRS fire restoration services can include: emergency board-up, demolition, soot removal film application, thermal deodorisation to mitigate smoke damage, and complete reconstruction. 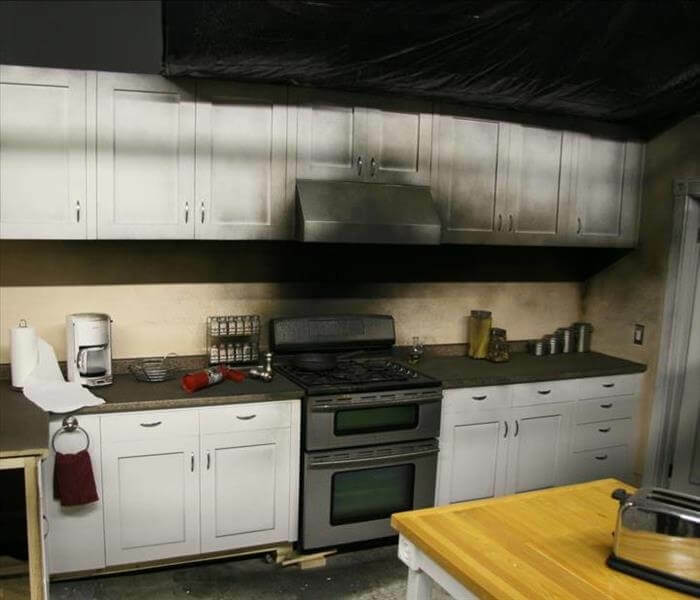 Count on SRS fire damage restoration services to answer your call. The SRS team is ready to respond quickly and efficiently. While on-site, we will board up the walls, windows, doors, and other surfaces to prevent your property from suffering worse damage. It is important that trained, organised, and seasoned technicians can quickly arrive at your location to boards up and/or roof wrap the building. By taking measures to safeguard your property to stay intact, more elements of your property can be salvaged. Important documents and precious memories can be gone within a matter of minutes. However, expert fire restoration technicians with the highest caliber of experience can swiftly overcome the effects of the soot and smoke that are still causing damage after the fire is out. It is important that the soot and smoke are completely removed, because their lingering odour is toxic when inhaled on a regular basis. Smoke and soot particles are Products of Incomplete Combustion (PIC). These are carcinogens that are considered to be dangerous. They can start to degrade contents of a home or business within just a few days, so dealing with them properly and immediately is key. In the end, there should not be any trace of smoke and soot. But only a professional team like SRS can safely, efficiently and thoroughly clean all surfaces. Prior to any fire damage services, you should contact your insurance company and document the extent of the damage. At first we inspect your property and the extent of its damages. Next, we pre-clean by vacuuming or dry brushing to pick up ash or dirt. We use state-of-the-art equipment to neutralise smoke odours and eliminate biological and chemical pollutants. If the home has water damage due to a leaked pipe or broken pipes, we will extract the water and dehumidify the areas. Industrial grade equipment such as thermal foggers, ozone generators, and hydroxyl generators will be used to neutralise the smoke odours and chemical pollutants. Demolition can be a devastating event. Watching the whole structure become rubble on the ground speaks volumes about the shock and sense of loss. For example, if you were starting a fire in a fire place you would require 1) oxygen (the open fire place), 2) the fuel (wood and or kindling), and 3) the heat/ignition source (the match). In order to stop the flame on a gas stove, you need to turn off the gas (fuel). If your clothes catch on fire you need to stop, drop and roll (starving the flame of oxygen). Serious house fires tend to be more prevalent throughout the colder months of the year; approximately one third of house fires in NSW occur between between June & August of each year.